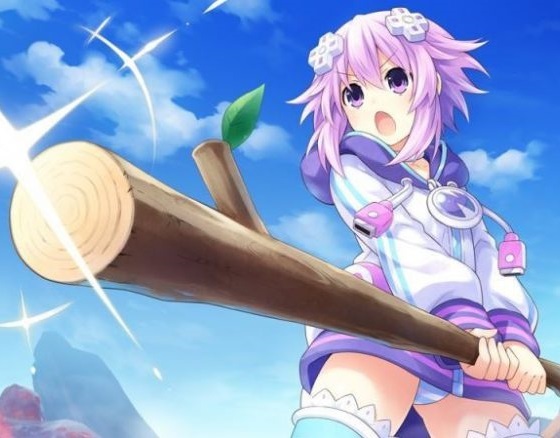 We have our first details of the western release of the 2D western-developed Hyperdimension Neptunia spinoff that we've been following for some months. Called Brave Neptunia in Japan, it's going to be called Super Neptunia RPG in the west. We also know the game is getting a "Fall" release (Spring in the southern hemisphere), which aligns nicely with the September 27 release of the Japanese version. We told you the releases would be close together. In English the game will have Japanese and English voice-over options, as well as English and French subtitle options. Old School Dungeons! - Explore gorgeously painted, interactive dungeons in a style inspired by classic gaming titles. Follow the Leader! - Enter turn-based battles where the party’s attack style changes based on the battle leader. Switch leaders on the fly, transform mid-battle, and use elemental attacks to maximize your team’s strategy! Save Gamindustri! - In a time where retro gaming and 3D graphics are at polar ends, this story delves headfirst into the debate for a self-aware ribbing of gaming culture. 2D Comes to Life! - The hand-drawn art of Neptunia series artist Tsunako is brought to life by Artisan Studios, showing the characters in a whole new way! Hopefully this game turns out well. There's still no way to tell for sure, because it won't be easy for a western developer to capture the same tone and sense of humour of this very Japanese franchise, but we have our hopes high.